Optimized with Hybrid Diaphragm, every subtle notes are precisely produced. It gives a more consistent and precise sound across the entire frequency range. M.O.C.I. (Mycelium of Carbon IT) is the soul and heart of Golden Sound. Made of advanced biotechnology with bred nano mycelium and carbon fiber to offer the metal rigidity with paper-like thinness. This optimum diaphragm dome is made to create high-resolution and precise notes for highs and mids and unfolds music to its full potential. Hybrid Diaphragm is designed to utilize with two materials combined into one speaker unit. M.O.C.I. Dome provide rigidity and ensures clear crystal highs and mids. High Flex Ring provide high flexibility and performs powerful deep resonating bass. Each diaphragm are designed for a reason and together offers true balanced sound with ultra-high resolution and dynamic performance. Carved out every finer details for the crystal highs mids and reproduced super lows in wider dynamic range for an uncompromising bass sound is the ultimate listening experience for the M.O.C.I. Golden Sound. Comparing with common plastic/aluminum single-diaphragm, while the dome and edge is made of single material, can not delivers the best for the highs, mids and lows separately. M.O.C.I. designed to improve the headache effects after long period of wearing. M.O.C.I. full range diaphragm is made of paper-like material helps your ear breathe, fully immersive surround sound creates a realistic sound experience. Fully adjustable, state-of-the-art mic. enables crystal-clear in-game voice communication, making it easier than ever to take control of your gaming environment. 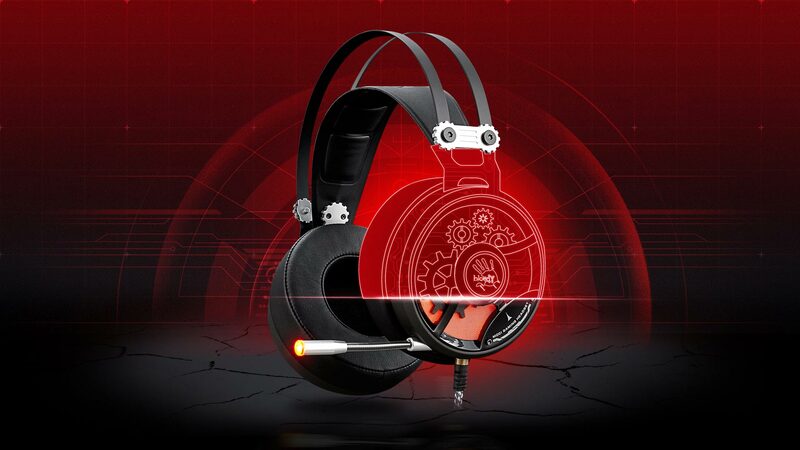 The wearing design ensures maximum comfort – perfect for long gaming sessions and for gaming at tournaments, no headache effects as part of the comfortable design. The cable designed with braided with high-quality oxygen-free copper. M.O.C.I. 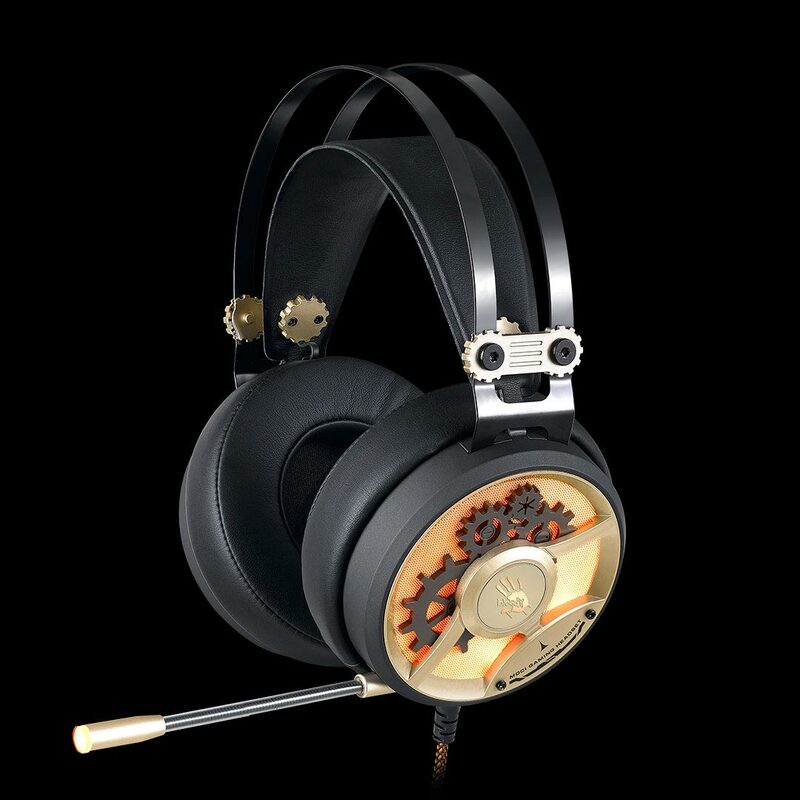 features XXL protein leatherette ear pads that cushion your ears while gaming. Let your skin breathe and ensures ultimate comfort. 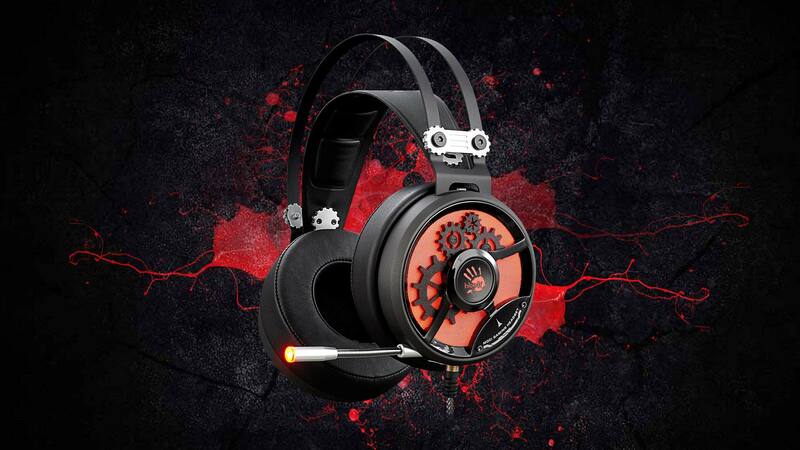 No outside noise enters the headset and you can rest assured that those around you won’t hear your game either. Bloody´s M.O.C.I. HiFi Collection was found with a mission to deliver "True Balanced Sound". Established with A4TECH/Bloody uncompromising engineer team for over 30 years, and finally, proudly to announce the "M.O.C.I. 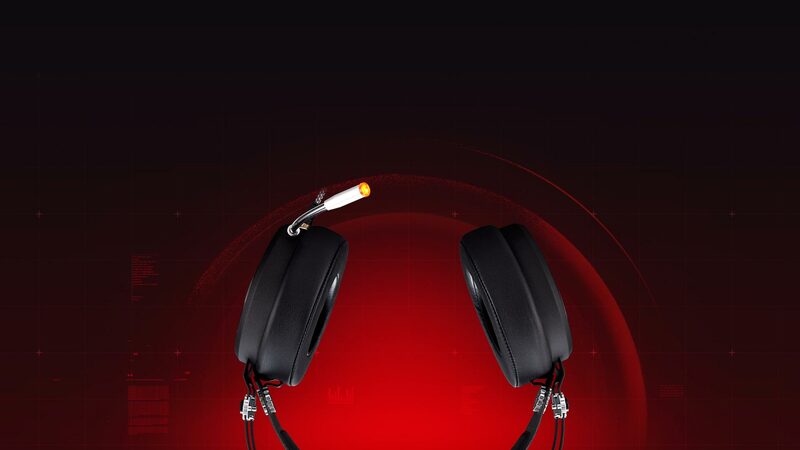 Dome Tech" and "Hybrid Diaphragm" in 2015, it allows you to escape yourself from tranquility with the Golden Sound.